"What an uplifting day! 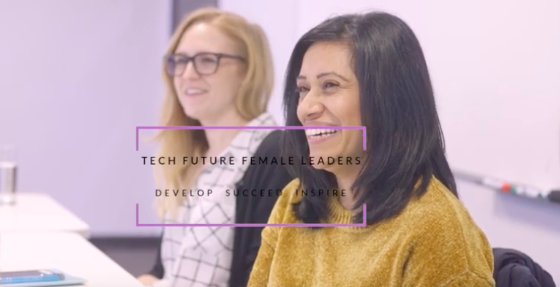 I’ve already used some of what I discovered about me, turning it into a bit of an action plan to help me reach my goals"
.I’ve just been on the first workshop as part of the Tech Future Female Leaders program and what an uplifting day. Only ten minutes in and I could feel how quickly we were relating to one another’s experiences and aims and that was just through doing the round the table introductions! There was no pressure to speak up and share stories but it all kind of happened naturally anyway. The workshop itself was all about self awareness and focussed largely on the results from our psychometric questionnaires that we’d completed a few weeks ago. The very process of talking through our persona profiles both as a group and in pairs helped to get our heads round what values and behaviours we demonstrate in work versus what’s going on subconsciously. There was a lot of information to take in and so it was really beneficial to ask Beckie and each other questions as we were working through the detail, honing in on the key points to take away. I came out of the workshop on a sunny Friday afternoon feeling like I knew myself a bit better and couldn’t wait to discuss it with my husband when I got home. I’ve already used some of what I discovered about me, turning it into a bit of an action plan to help me reach my goals.